Four times the Torah tells us to teach our children about the redemption from Egypt, and from this comes a midrash that there must be four types of children who each learn in a different way. That midrash has become part of the Haggadah; every year we talk about these four types of children: the Wise One, the Wicked One, the Simple One and The One Who Does Not Know How to Ask. Pop culture can give us new ways to connect to our tradition. 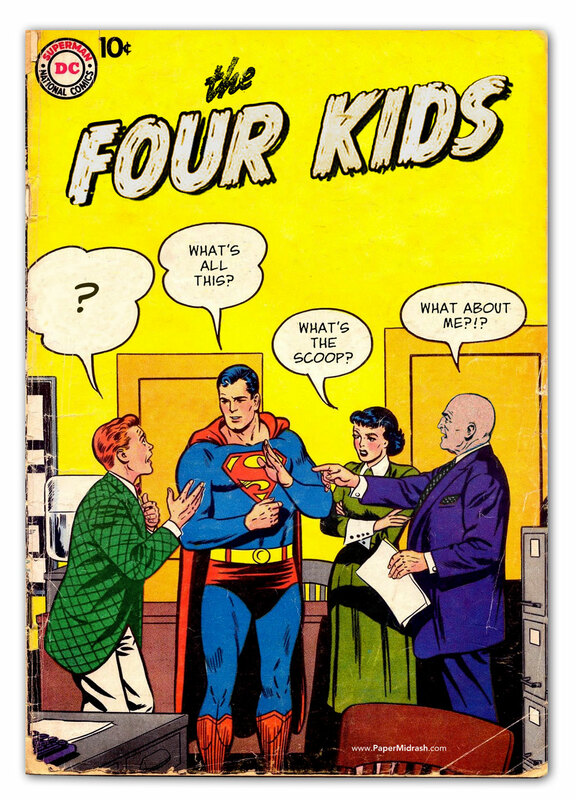 The main characters in Superman, when taken together, can give us new insight into the four types of learners that our midrash teaches about. 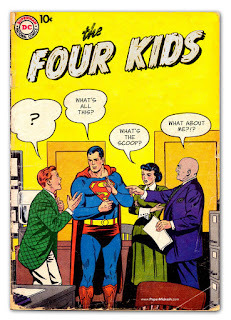 Lois Lane is the wise child. She is an investigative reporter, whose job requires a depth of knowledge and ability beyond the average citizen… but which also requires her to constantly ask questions in hopes of finding deeper meaning. Lois wants more – she actively seeks out knowledge, and she wants to share it with others. She knows so much about the world; what can we tell Lois that will add to her understanding of the Passover story? Lex Luthor is one of the smartest people in Metropolis, but as with any villain he makes everything about himself. “What does this have to do with me? Why should I care?” He fears what Superman brings to the world, and sees himself as better than everyone else. What can we tell Lex to help him understand that he is a part of the story, but not its center? How do we help him connect to something bigger than himself? Superman is a stranger among us. No matter how much he learns about Earth and the humans who inhabit it, he always struggles to understand the strange world he landed in as a baby. He wants to understand what it is to be human, and how he can be a part of our story, but he doesn’t always see how he fits. How can we tell him our story in such a way that he will understand, and find his place within it? Jimmy Olsen is always just trying to keep up. When something happens he’s right by Lois’s side with his camera, ready to point it at whatever’s happening to capture it, but he doesn’t understand what it all means. He’s easily distracted, and a bit of a goofball. He is willing, but needs our guidance. How we do we give him the tools to engage with the story? How do we help him to learn how to use his voice to ask questions and seek answers? There are, of course, many other people living in Metropolis. Who would you pick as each of the four children?